Tom has wanted to be a horse trainer ever since he can remember. Right from the childhood he started spending time with horses and trying to understand their language. Having spent long years with them, one day he came across a book called “The Man who listens to horses”. He read it and was inspired by it and travelled to california from Canada to learn and be an instructor . He took both basic and advanced courses and came out with flying colors. He went back to Canada and started holding clinics for horses, and also working with difficult horses that people brought him to fix. He is now a full time instructor and the only certified Monty Roberts Instructor in Canada. The Challenge was to build a site which portrayed the journey that Tom Durocher went through. The site had to be evocative of his struggle and his healing and finally his connection with horses. 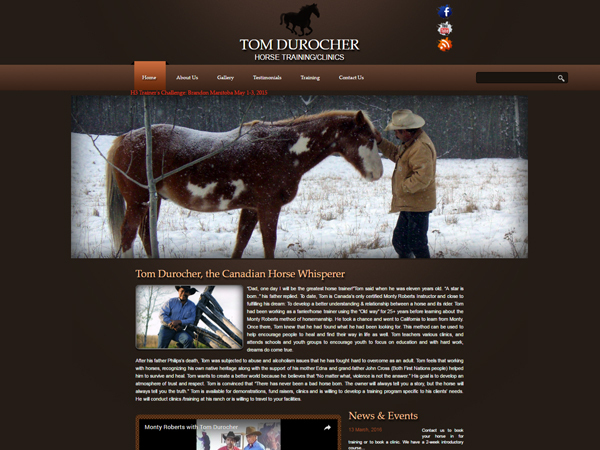 It was pertinent that the site was holistic and brought all elements together to weave them in one story of Tom Durocher and also display his prowess with horses and the deft hand with which he dealt with them being the only Monty Roberts certified trainer in Canada. 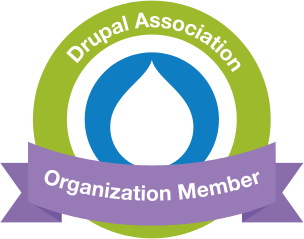 A Drupal based platform, the site echoes the salient features of Tom’s life and weaves them together to give a composite solution which is beautiful to behold and evocative to contemplate. The site clearly brings out the strong connection that Tom feels with horses and also details the various training courses that he offers.